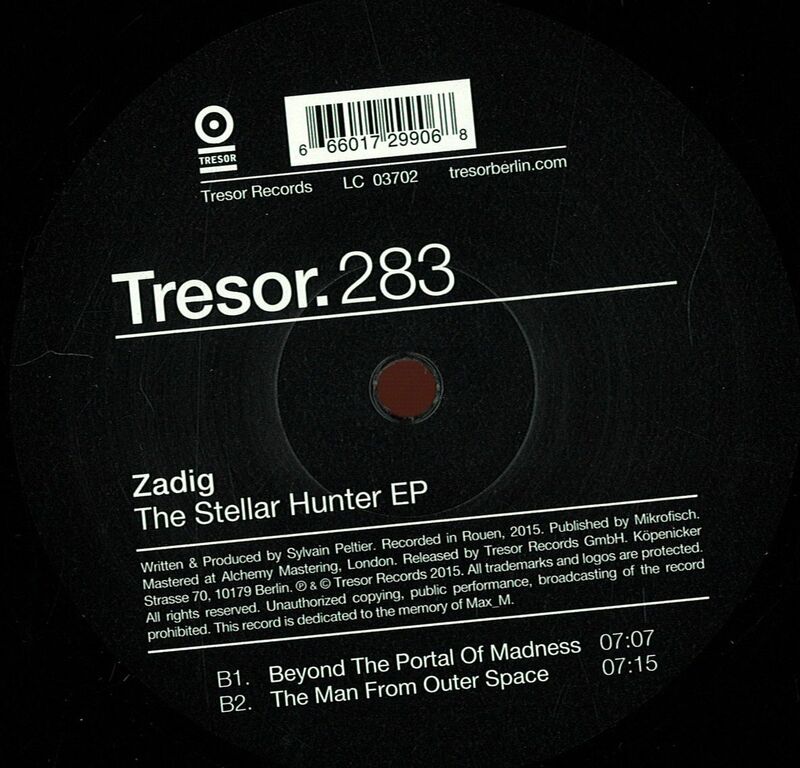 Tresor.283 unveils yet another exceptional debut EP, this time from the hand of Zadig. The head of Construct Re-Form had already been initiated to the Tresor catalog with the inclusion of ‘Panic‘ on the ‘Demo Tracks #2‘ compilation, in 2013. With The Stellar Hunter he delivers three tracks rich in tradition, matching impeccably to his style, arrangemental magic and masterful set of technique. Between elongated synth pads, high-frequency blips and reversed kick drum sequences coupler with deep hypnotic bass lines, Zadig proves to be the talented recipient of an illustrious heritage in techno, carrying it forward with modern application.